Can I join as an individual member? We work with both organisations and individuals in a number of ways. Vitae membership is for organisations. If you're a member of staff or student at an institution with organisational membership you are entitled to enjoy membership benefits including premium content on our website. Just login or register using your organisational email address so that we can recognise you. Check our subscribers list to see whether your institution is a member. Our online professional development app the RDF Planner is for both organisations and individuals. Organisations can set up a subscription for their researchers (this is separate from membership) and individuals can also buy a personal subscription. If you're thinking of subscribing as an individual, contact us first to check whether you can get free access through your institution. Affiliate membership (for stakeholder organisations that are not research-performing) offers access to premium resources to specified individuals. Can we work with you without taking up membership? If membership is not an option, register on our website to access a range of online advice and resources. Organisations or individuals can subscribe to our online professional development app the RDF Planner. In addition we offer consultancy and training services at cost. Non-members are also welcome at most Vitae events although institutions participating in several events during the year might find membership to be best value as members enjoy discounted rates. How do I know if my organisation is a member? We publish a list of organisations with a current membership subscription. Most member organisations are happy to be on it but just occasionally an organisation asks to be excluded. If you're not sure whether your institution is a member, please check with us. Who are your main contacts in my organisation? Each Vitae member organisation nominates three 'key contacts' to take responsibility for disseminating membership information within your organisation. Of course it's likely that we're also in touch with other stakeholders too so get in touch if you'd like to find out more about how we're working with your organisation. What extra resources do our researchers get if we join as members? As one of our aims is to 'empower researchers to make an impact in their careers', much of our advice for aspiring researchers, doctoral candidates and early career researchers is freely available online. However, researchers at member organisations also enjoy access to premium content such as our online course on professional development planning or our routemaps for new researchers, early access to new resources such as our latest researcher experience analyses. Much of our material for senior researchers and aspiring academics is also reserved for those from member organisations. See our page highlighting premium content for members. How much will membership cost? Organisational membership costs are based on the number of doctoral and early career researchers at the organisation. An annual membership subscription is in the region of £1000 - £6000. There is also a one-off joining fee for institutions outside the UK, which covers the license to use Vitae resources and programmes. Contact us to enquire about organisational or affiliate membership. How can I access member benefits? Individual staff or students at member organisations should log in or register to our website using their organisational email address in order to access online member benefits including premium content and discounts. We ask you to use your organisational email address so that we can recognise you as a member. My organisation is not a Vitae member - how can I persuade it to join? Our why develop researchers? page includes a presentation setting out how Vitae membership will strengthen your institutional capacity to develop researchers to realise their potential. It's aimed at senior managers to help them see the benefits of excellent researcher development support in the context of a broader remit. Can I buy your training materials without buying membership? Our downloadable 'off-the-shelf' training packages to use with researchers are reserved for Vitae member institutions. However, we're happy to talk about delivering training to your researchers. We can deliver courses from our existing range using trainers experienced in running them or we can discuss bespoke packages to suit your needs. Get in touch to discuss training delivery or development. Do you run events for researchers? 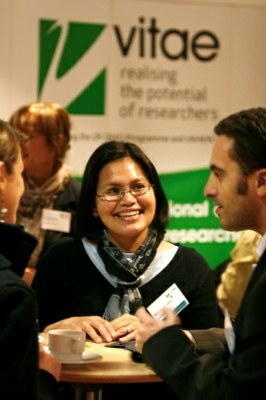 Most Vitae events are aimed at researcher development professionals. We often welcome academics in their capacity as managers and/or mentors of more junior researchers. Most of our events for early career researchers are online; the best way to stay informed is to sign up to receive our email bulletins. Let us know what stage you're at and we'll send you details of opportunities most suited to you. We also offer consultancy services and training delivery or design for stakeholder organisations. Do you run events outside the UK? Most of our events have been and continue to be in the UK as it's where the majority of our members are based. As far as possible we hold them in major cities to make international travel an option. As well as making individual visits to our members we're also looking at ways to make Vitae events more accessible remotely. How can I get in touch with others interested in supporting researchers' professional development? Attending our Researcher Development International Conference in September or other Vitae event from our year-round programme is a great way to get to know peers. 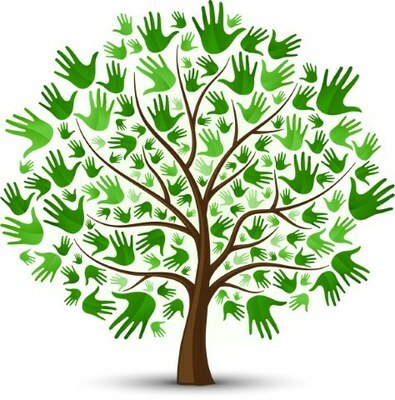 If you want to get in touch with another Vitae member, you can search for details for any member who has registered to our website via our Membership Directory. Our online Member Community is a good place to go if you want to start or join discussions. Can I purchase your publications without being a member? Hard copies of our CROS and PIRLS reports and What do researchers do? publications can be purchased for £50 + VAT per copy plus postage (subject to availability). If your institution is interested in purchasing some of our researcher-facing publications, such as researcher booklets, we are able to provide quotes for bulk orders. Additionally, if you are based at a Vitae Member organisation, you can download press-ready versions of selected publications from our website. These files have been especially prepared (including crop marks, bleed and high-resolution graphics) to enable our members to print their own copies of our publications professionally. Can I join the Vitae Three Minute Thesis® competition? The Vitae 3MT® competition is open to winners from member institutions which have run a 3MT competition in accordance with the rules set out by the competition originators, the University of Queensland. We choose six finalists for a live final in September. Read more about the process and how member institutions can register for the Vitae competition. If you're an individual doctoral candidate based at a member organisation and you're interested in taking part, find out whether your institution already holds a competition. If not, why not consider starting one yourself? Here's how! How can I advertise with you? You should find all you need to know on our advertising and partnership page. Opportunities include sponsoring or exhibiting at one of our events and advertising on popular web pages. Do you have an online forum for researchers to discuss career issues? We don't have a permanent forum aimed at researchers, although anyone from a member institution is welcome to use our online Community facility. We suggest that researchers follow us on Twitter and join our Twitter chats. We also have a Facebook page and a Linkedin group. How do you develop your programme? We base our programme of events and resources development on the needs of our member institutions. We offer various opportunities for members to input including direct contact with nominated key contacts, a series of springtime networking events and an online form. Of course we also pick up ideas from everyday contact with our network and at our CPD events for researcher developers. See our programme for the current academic year. We'll be launching next year's programme at our annual Vitae Researcher Development International conference in September. If your question's not answered here, get in touch to ask us directly. More about all the ways we can work with your organisation to strengthen your institution's policies and provision for researchers, their careers and their professional development.